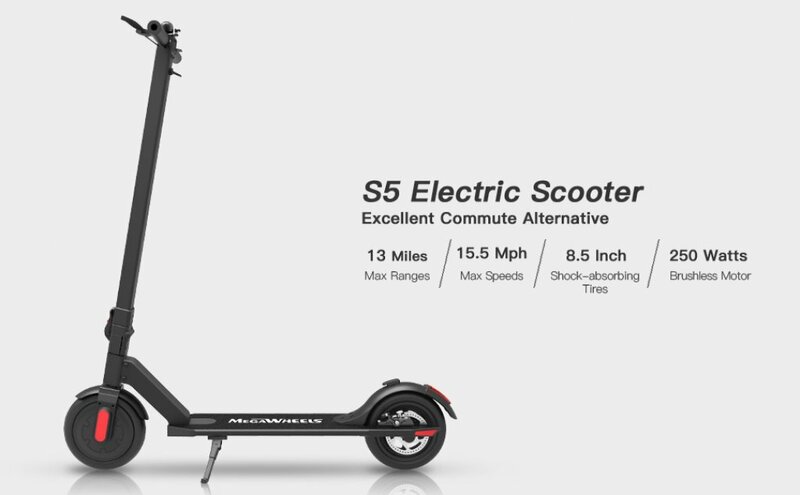 The Megawheels S5 electric scooter is considered an upgrade to the S1, which has received an excellent response from most buyers. However, there were certain areas where the S1 fell short, and that’s from where the S5 picks up. Much of what people didn’t like about the S1 has been removed or polished. This time around a lot has improved. 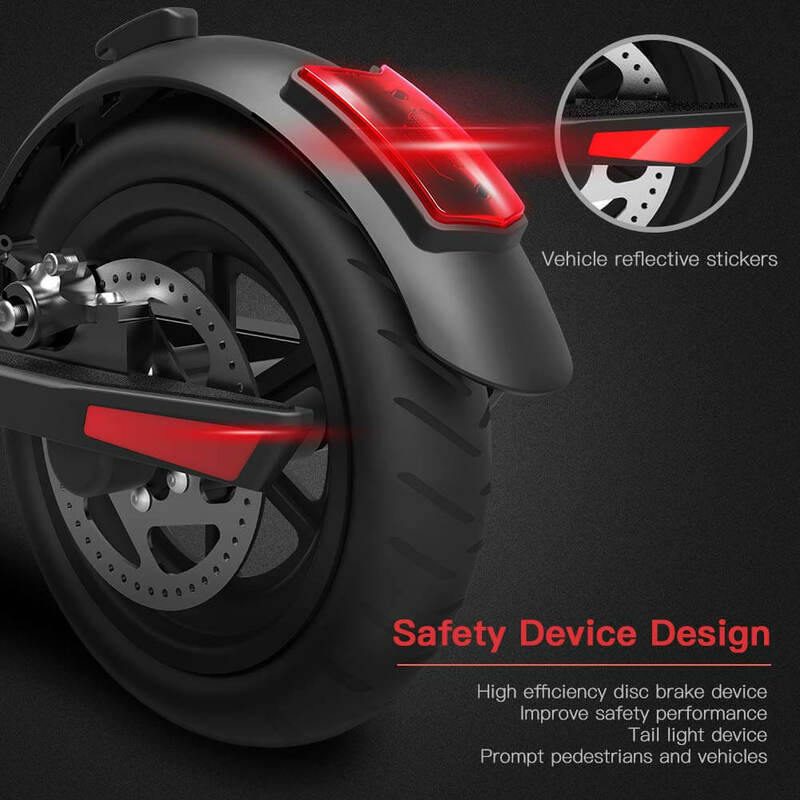 The Megawheels S5 looks cool, and it neatly folds into an easy to carry form factor. However, this isn’t foldable to the extent that you can add put it into your backpack. That said it is still pretty portable all things considered. 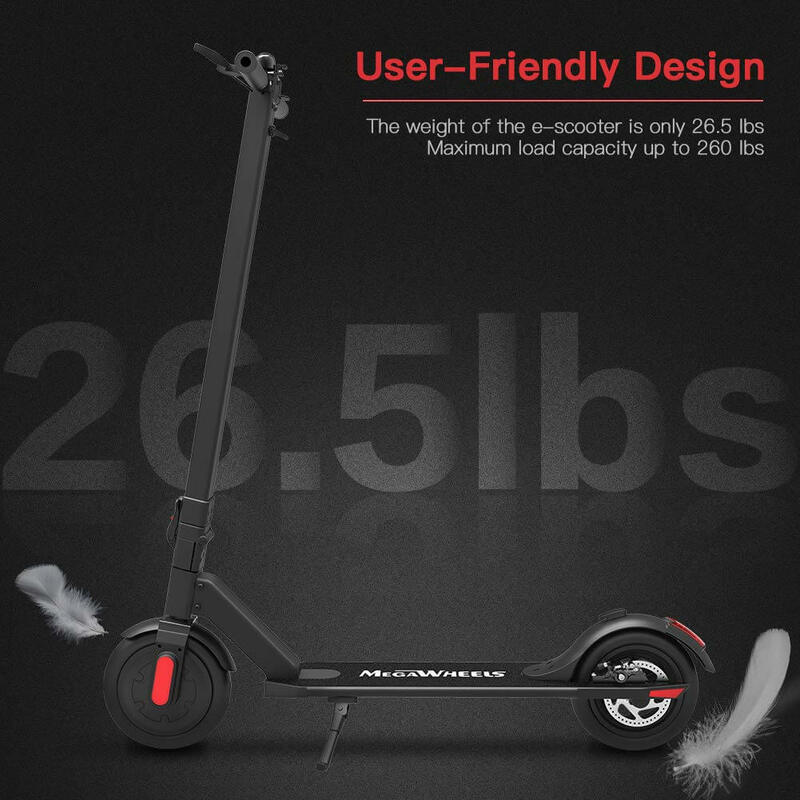 It certainly wouldn’t hurt your back carrying the 26.5-pound scooter for a few minutes, unlike some other competing scooters. 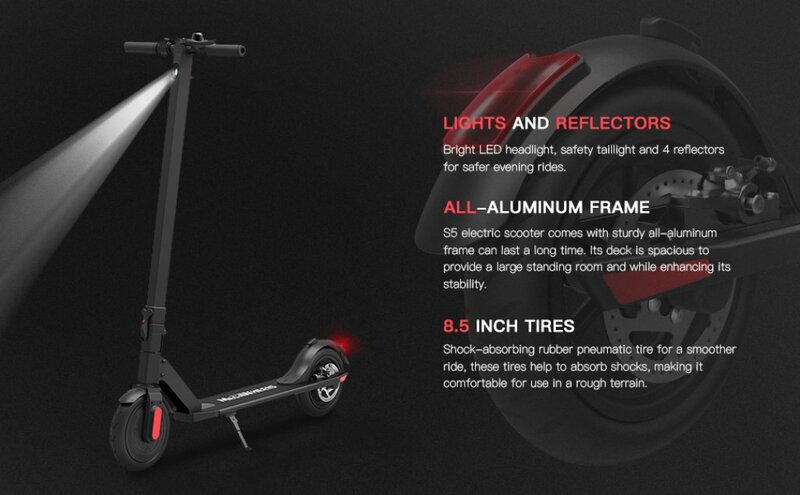 The 250 Watts brushless motor adds a bit of low-end torque to the scooter which makes it fun to ride. The S5 can reach a speed of up to 15.5mph. 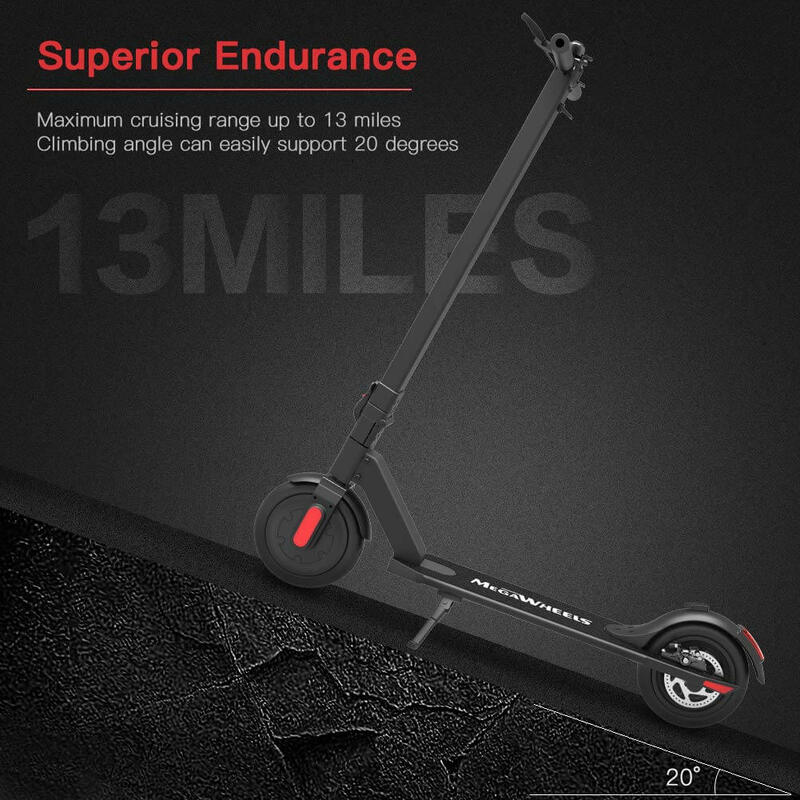 It can also go for 13 miles on a single charge which is pretty decent for a scooter of this size. Speaking of charge, it takes around 3-4 hours to charge the battery completely. The aluminum frame feels excellent and sturdy. It has more than enough standing room, and the 8.5-inch pneumatic wheels add to the S5’s drive comfort. We drove it through some rough terrain and were impressed with its ability to soak up bumps and road imperfections. Drive quality is also pretty good as the Megawheels S5 is more responsive than earlier models. The brakes work perfectly and aren’t as touchy as with the previous models. The pedestrian bell coupled with the fact that there are reflectors placed around the S5 makes it perfectly safe to drive on busy sidewalks, parks, and even the mall. While we mostly drove in first gear which reaches a maximum of 11mph, it is possible to shift it into second gear with the flip of a button in which it reaches 15.5 mph. 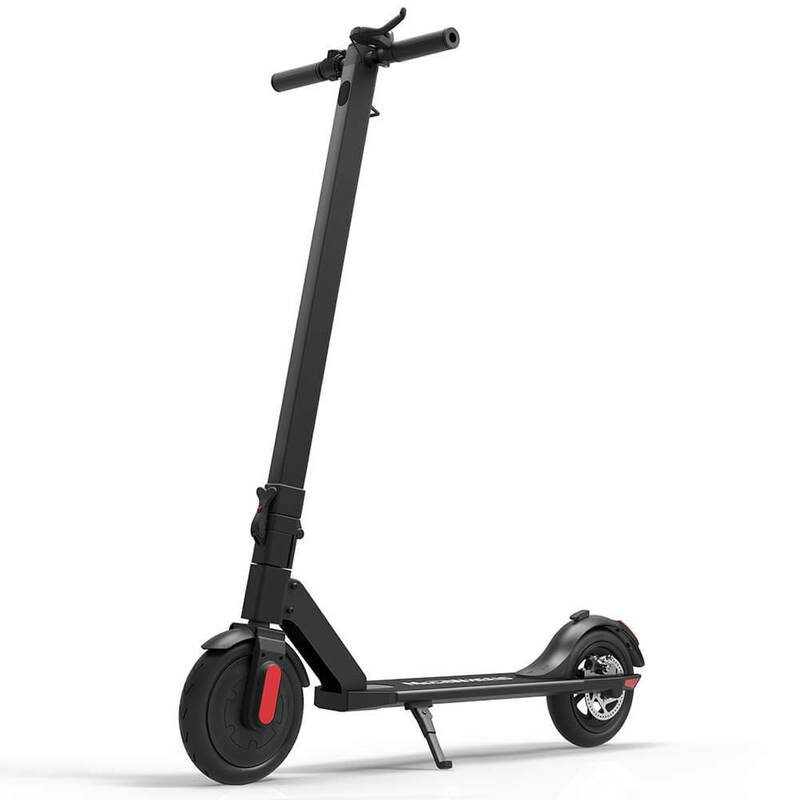 As mentioned earlier the scooter is pretty torquey, and so you’d want to be careful the first time you ride it. LONG RANGE BATTERY LIFE - Powerful 250W motor and 5.8 Ah/36V lithium battery pack that supports a speed of up to 15.5 Mph with a range up to 13 Miles. 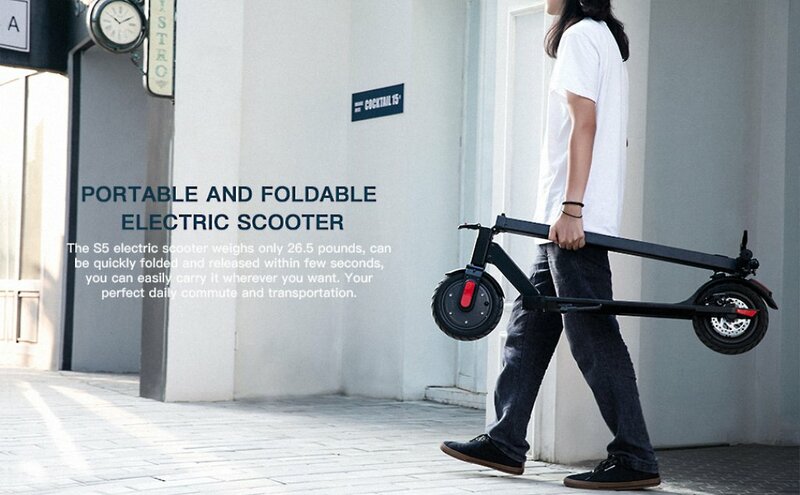 Updated large-capacity battery life, designed for commuters and longer distances. 8.5" PNEUMATIC TIRES - Shock-absorbing rubber pneumatic tires offer a smooth ride even over bumpy surfaces. 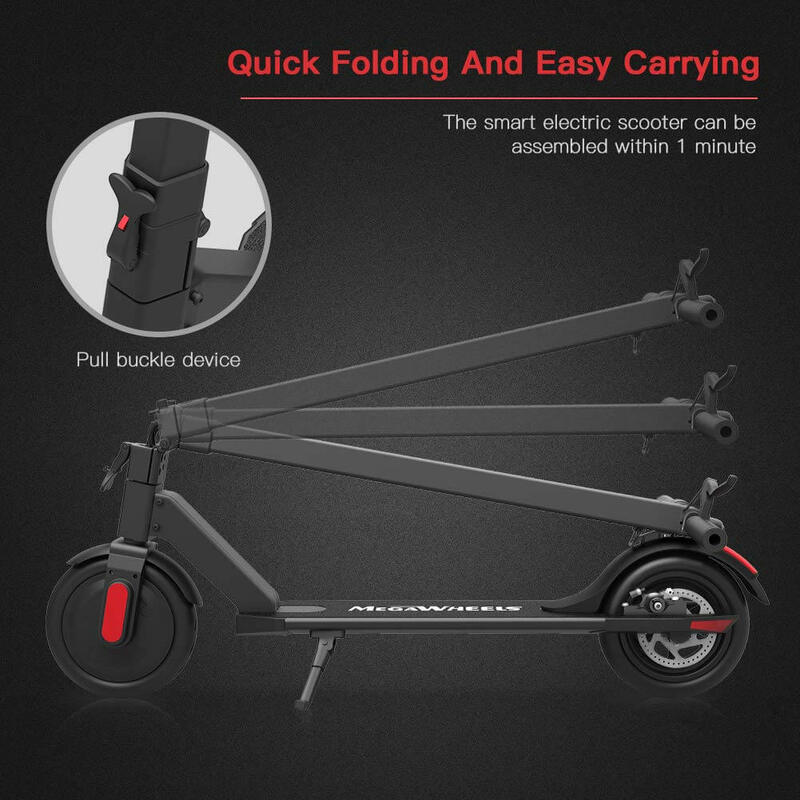 PORTABLE FOLDING DESIGN - Electric scooter can be folded easily in 2 seconds with quick folding latch for easy carrying and storage. Battery Indicator and Lights - Battery indicator keeps to track battery life. Ultra bright LED headlight and taillight. Fast recharging about 3 hours. Gear shift setting - 1st gear for a 11 Mph comfortable ride or 2nd gear to get the 15.5Mph fast experience. Extremely fun to ride and end boring commutes. 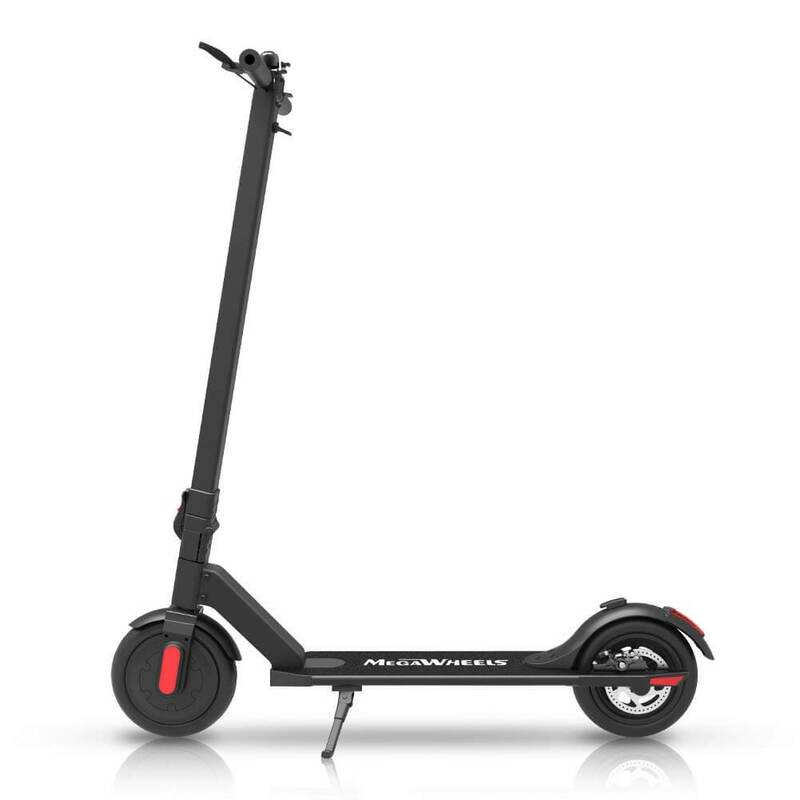 The Megawheels S5 electric scooter is a solid competitor. It is fast, easy to carry, looks good and is durable. Perhaps the only issue we have is with the 3-4 hours it takes to charge with the industry average being around 2 hours. 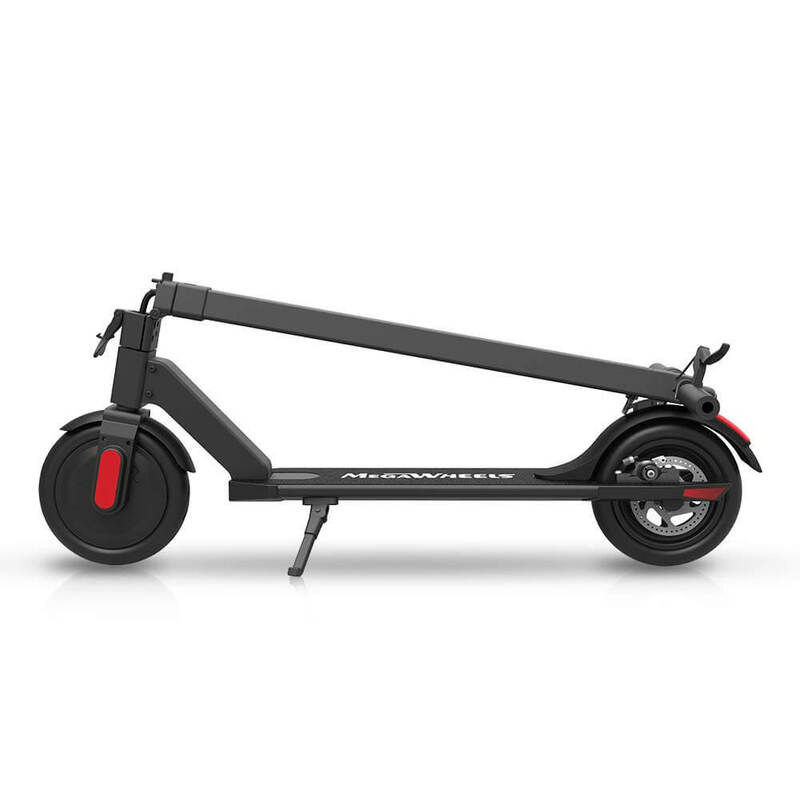 If you can look past that we’d recommend the S5 to anyone in the market for a versatile e-scooter.